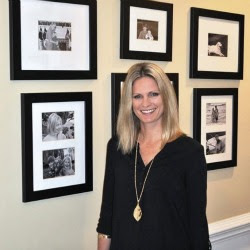 Stopping by to share a few of my favorite client projects today! This family room above now has a subtle farmhouse vibe with a few industrial accents. 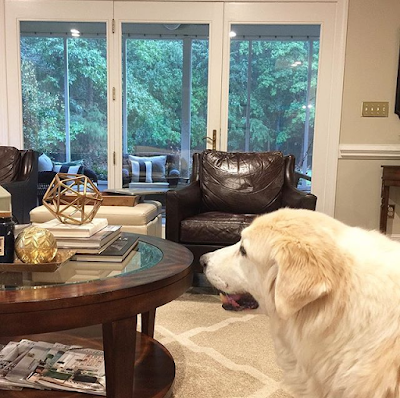 I am loving this large dough we used to fill this sofa table, and the soft oatmeal colored sofas. 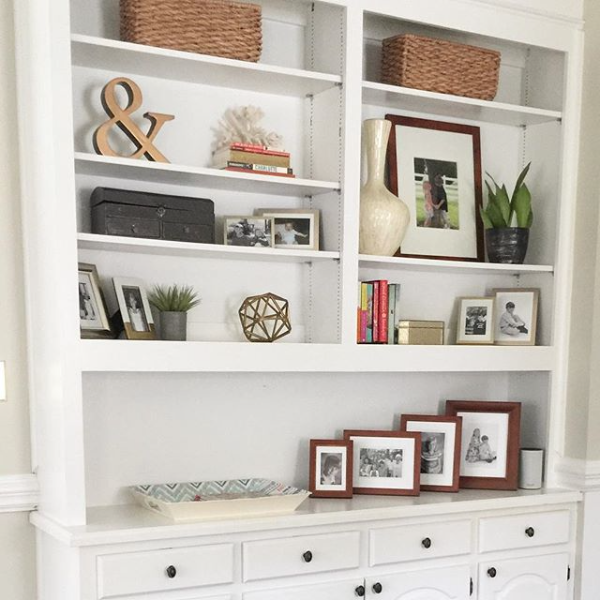 Light and airy with just enough color to make this space truly family friendly. 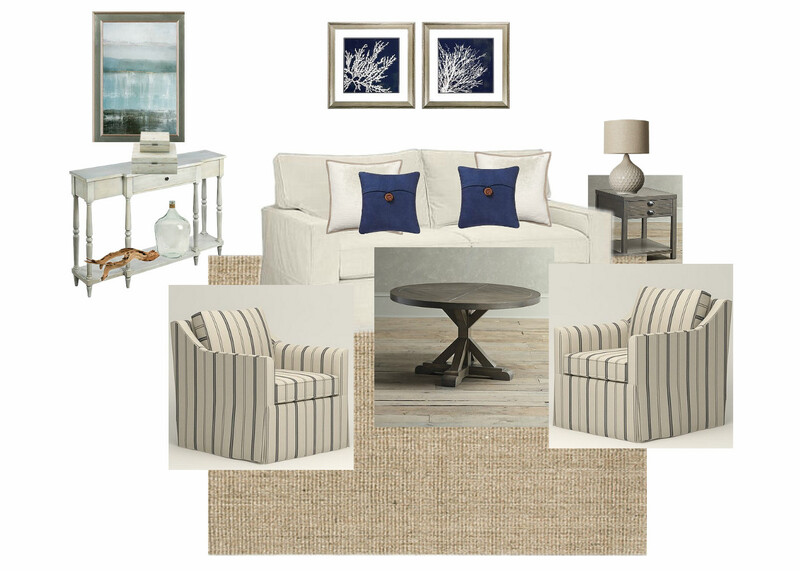 For this project my client wanted a light and airy coastal style family room. I'd say mission accomplished. 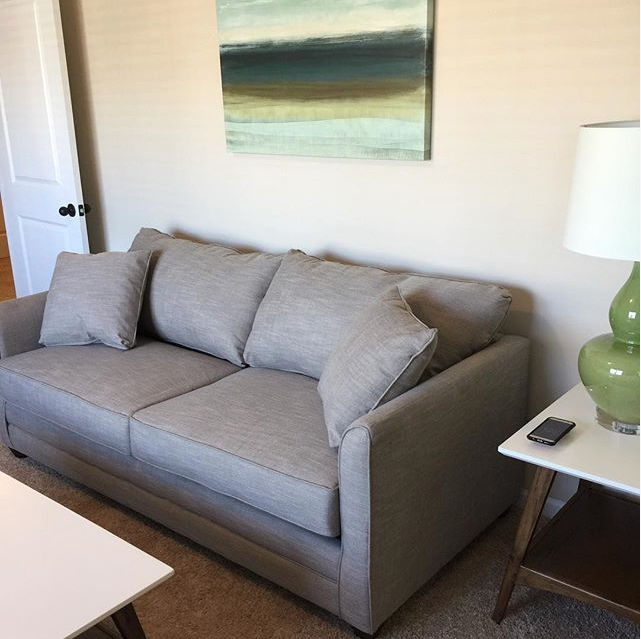 And we used affordable custom upholstery from AllModern.com. 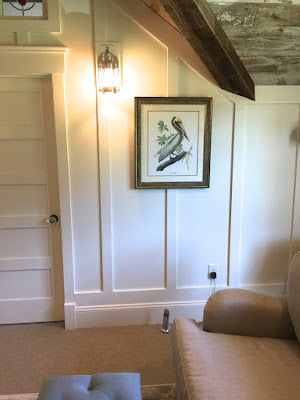 Finally, the perfect farmhouse white on the walls pulled this entire room together. 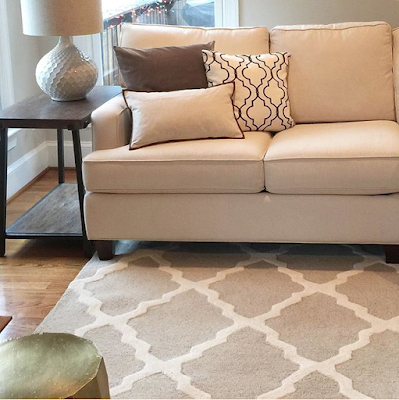 For this family room above, my clients large white sectional was feeling like the white elephant in the room. 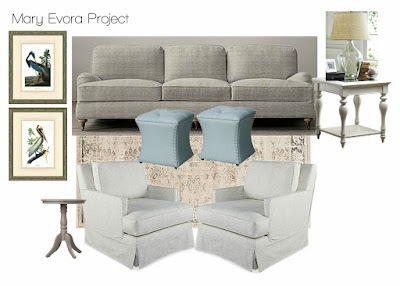 And with light blue throw pillows and rug, nothing was grounding the space. So we added texture and earth tones for a warm and inviting update complete with new rug, pillows and lighting. And finally this lake house in the Lake Norman area got a sweet update with new rug, ottomans and art. 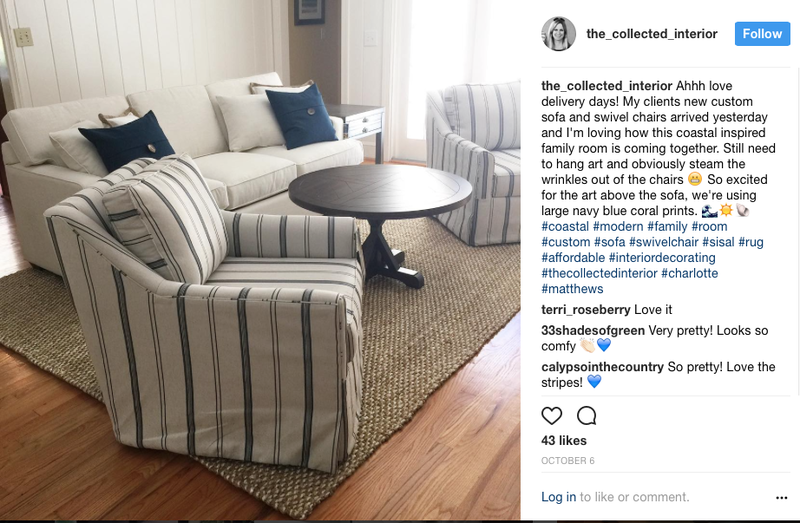 I also helped my client pic fabrics for her new custom sofa and swivel chairs. Want to see more? Check out our Houzz profile with several more projects and also glowing Reviews from happy clients! 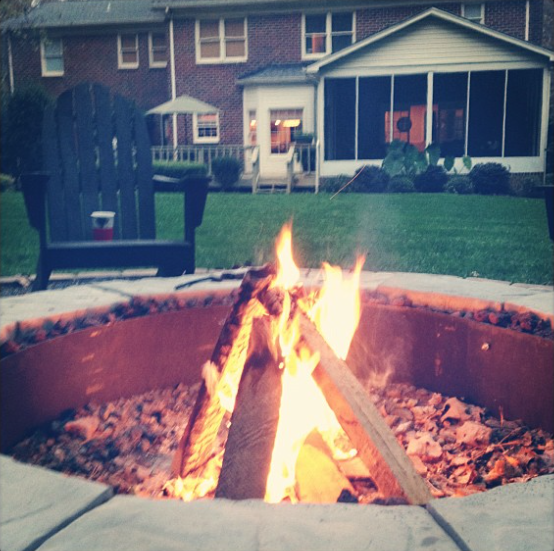 Making the most of a home...this is what I love to do. Contact me and schedule your design consultation today! Hey guys, stopping by to share my latest. And I can't believe my hubby and I have been married 25 years! Yes you read that right, a quarter of a century. We celebrated with a quick and very rainy trip to Charleston. This man, who I met in high school is my rock and soul mate. What a journey this life has been with two precious kiddos, five fur babies, four cities and five houses! Ahhh black, white and warm woods...this is one of my favorite color combinations! This is also where I make my coffee every day. Yes and on some mornings, I couldn't start my day without it! We also added a new tile backsplash to our kitchen. We opted out of the gray grout trend, and instead chose the textured subway tile. Need a houseplant to add a little exotic flair to your home? Look no further than Bird of Paradise! This is my new favorite plant. Love how it can fill up a large empty corner perfectly. Our precious Ginger passed away in July at the age of 15. She had a vestibular attack, similar to a stroke, and was paralyzed in her hind legs. This girl was so special to us, she was our first rescue and a true one of a kind! Even sadder her brother Bear, who was also 15 passed away just 3 weeks later. There are dogs that make their way deep into your heart. Ginger and Bear did just that. They were loved beyond measure and we will miss them dearly. 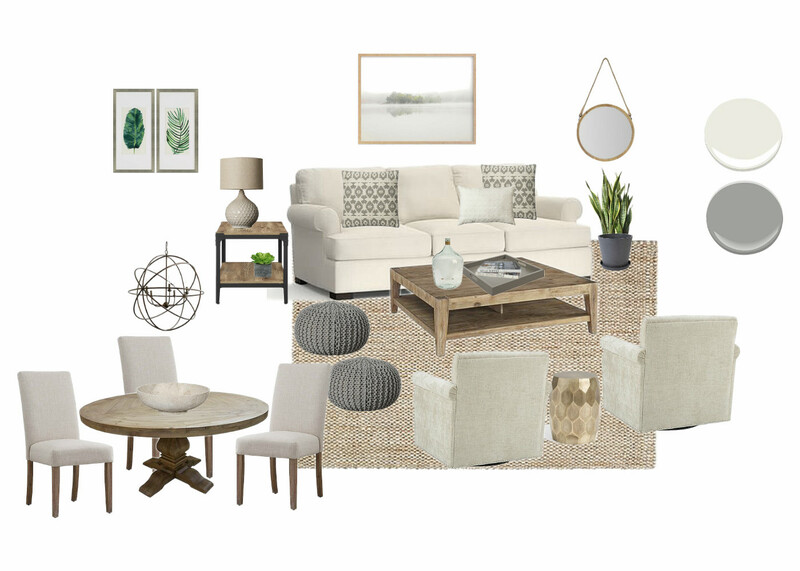 Sharing a Design Board I recently made. 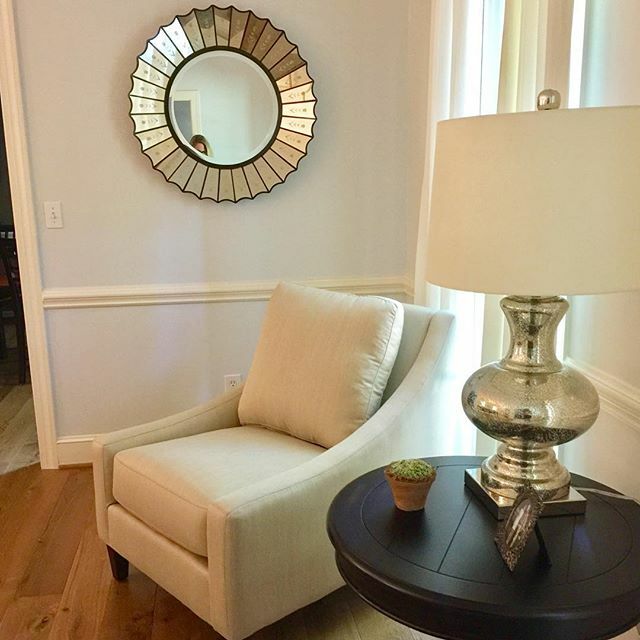 One of the services I offer are Flat Rate Interior Room Designs, which are basically a whole room makeovers. With this service space planning and Design Boards are included, so my clients get a visual of their space before the design process begins. This is what I love to do! 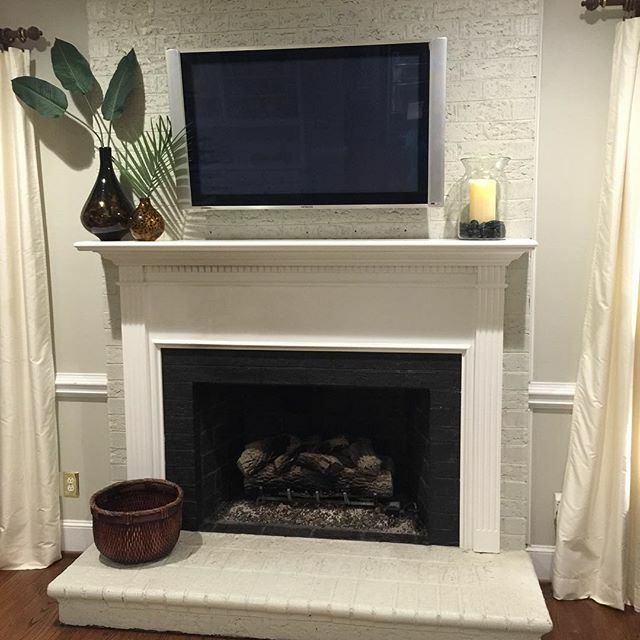 Design overall traditional spaces with a few modern updates and clean lines. Add in texture and a new color scheme and boom...you've just updated your home with our affordable design services. 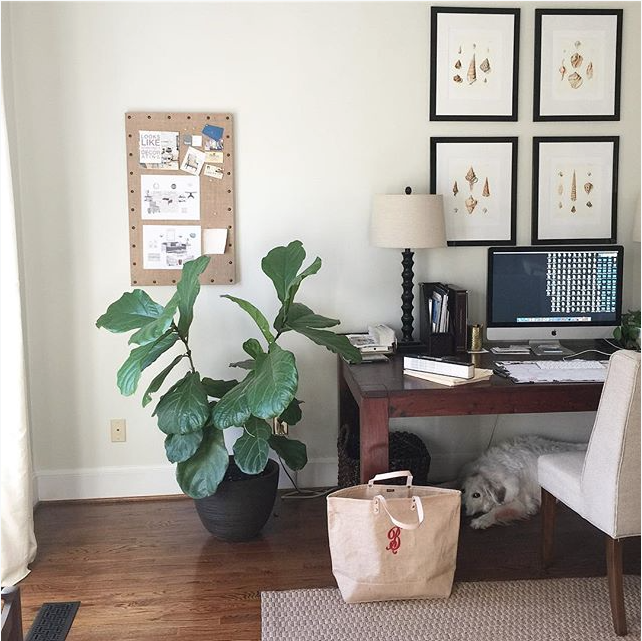 A Happy Fiddle Fig, Bookcase Refresh & a 2018 Houzz Award! Hey guys popping in to share my latest! Things have finally slowed down here in January and February and I'll be honest, it's been a nice break! 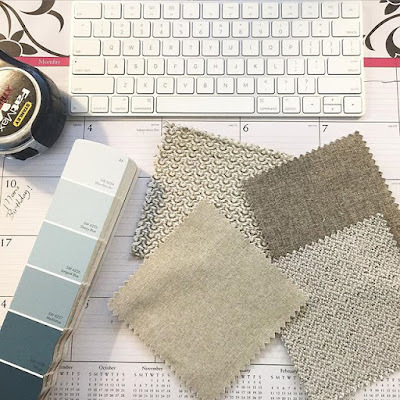 One of the things I love about running an Interior Decorating Design Business is the flexibility in the hours, and the natural ebbs and and flows of design work. My Fiddle Fig is officially a year old! Now don't worry I haven't turned into a crazy plant lady ;) But when I purchased this guy a year ago, I was worried he'd be too temperamental and that basically I'd kill him. Well no concerns over here because this guy has been easy to maintain! I just keep him in a well lit corner and water once a week. Yup, that's it! So here's a recent client project above in Charlotte. 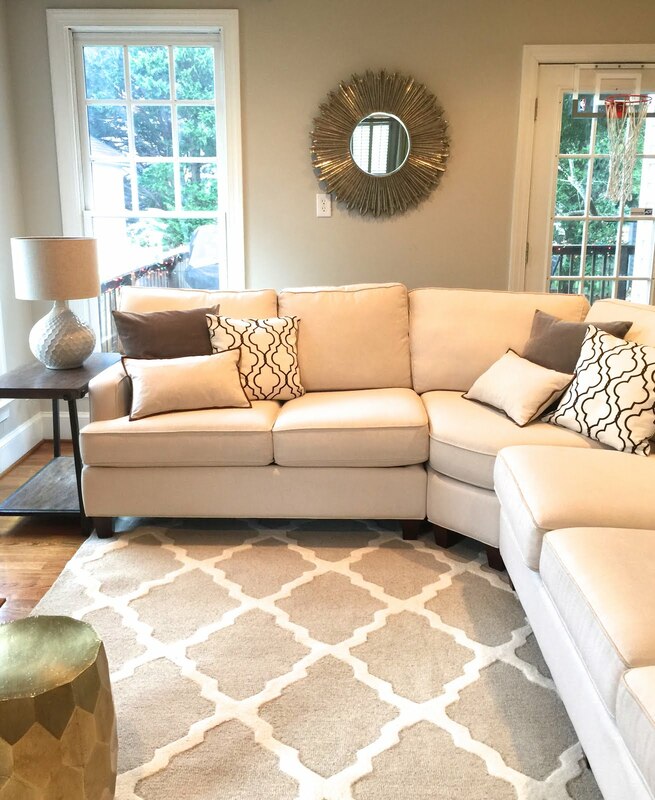 This big white sectional was feeling like the white elephant in the room for my client. And with a baby blue pillows and rug, nothing was grounding this piece. So we added texture and earth tones for a warm and inviting update complete with new rug, pillows, lamp. 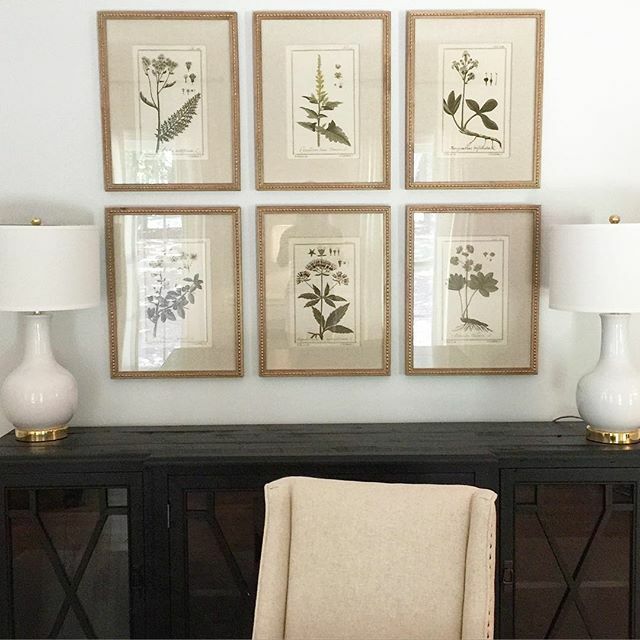 Truth is I naturally gravitate towards neutrals if you peruse my designs & Instagram page. But every now and again I have a client that wants some fun color! 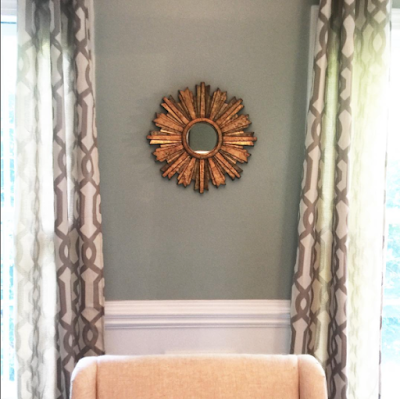 Here's a home office - guest bedroom combo recently finished with accent colors in teal blues and olive greens. Loving this color combination! I refreshed our built-ins the other morning. 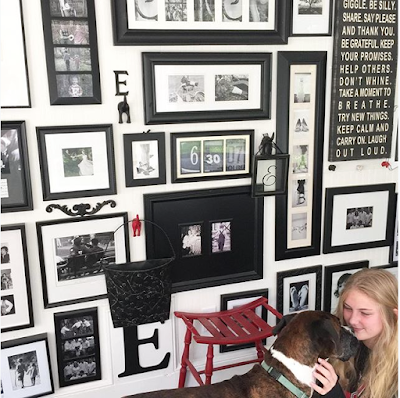 Specifically I added more frames and family pictures to the mix! I use many design elements when styling bookcases including texture, contrast, and nature inspired accessories and plants. For me it's all about combining the old with the new for an overall collected look that naturally came together over time. Never bought all at once off a show room floor! And finally I'm saving the best for last. 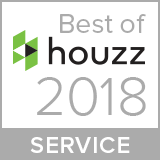 The Collected Interior received another "Best of Houzz" Award for client satisfaction this year for 2018, Wahoo! And this is our 4th year receiving this award. This makes me so happy...to know that our clients are happy! 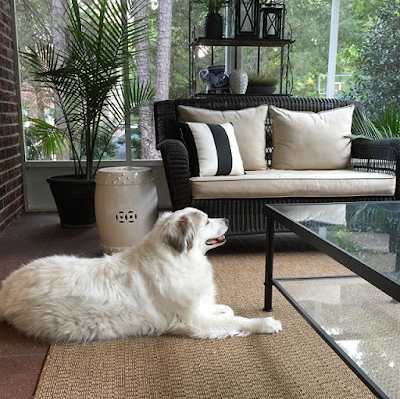 Thank you Houzz for the honor, I am grateful! Okay guys that is what's happening around here, thanks for checking in! Oh my goodness is it December already? Well Happy Holidays and Merry Christmas too! 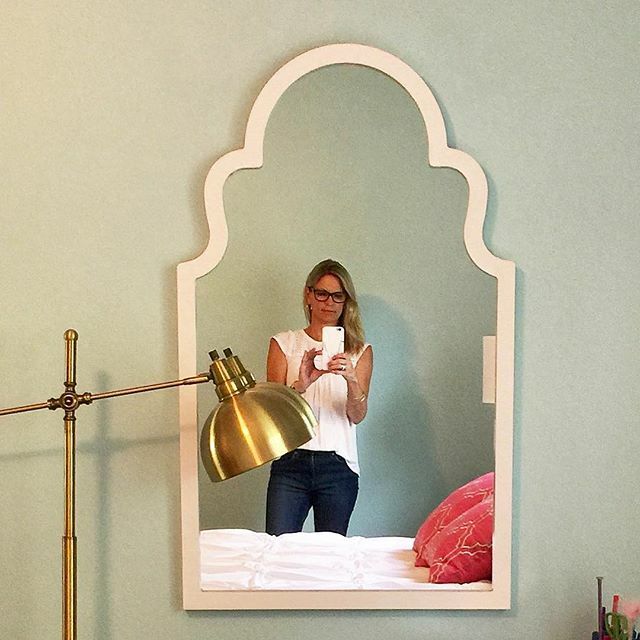 So many fun things are happening here at The Collected Interior and at home and I am thankful! 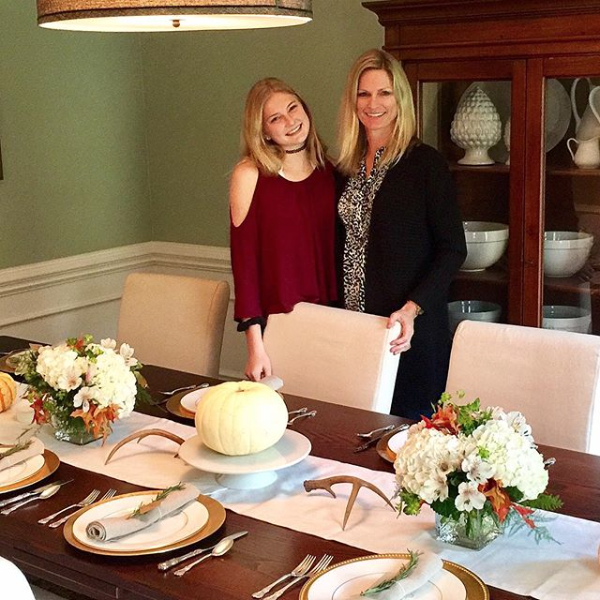 My daughter and I had so much fun decorating our Thanksgiving tablescape this year! And with a full house of 11 total guests, I was excited to finally fully extend our dining room table. But I knew decorating this very long table would be a challenge. So I ordered 2 simple low flower arrangements that flanked the table on either side of a white pumpkin centerpiece. Then added in a few deer antlers and mini pumpkins and done. And this can be easily changed up for Christmas! Maybe do flower arrangements with more greenery and a candle centerpiece. I seriously love simple and beautiful decorating ideas like this! 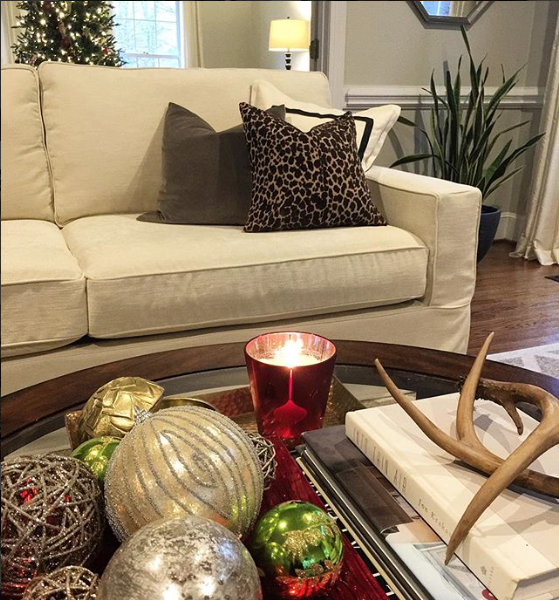 Here's our coffee table all prettied up for Christmas! Actually this pic was taken a year ago, but it looks exactly the same today ;) As you can see I have a thing for deer antlers. I also love mixing silver & gold with pops of red when decorating for the Holidays. We've finally finished several projects around our 1980's brick colonial, and here's our new subway tile backsplash. 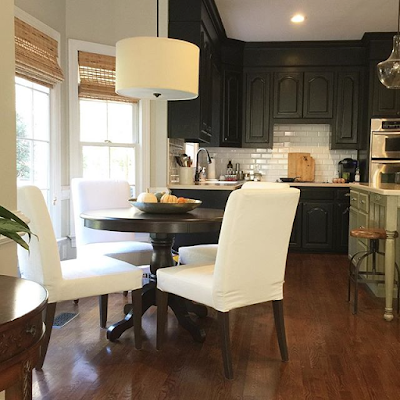 I'm loving the white tile next to our black cabinets, and all the contrast it provides. Textured subway tile is so fun because it has both a classic and modern look at the same time, I love that! Just WOW! The other day my daughter and I headed to a neighbors house to pet sit. We walked into a side entrance, through the garage and into a long and narrow sun room. And saw this beautiful black and white wall gallery! Simply Amazing. 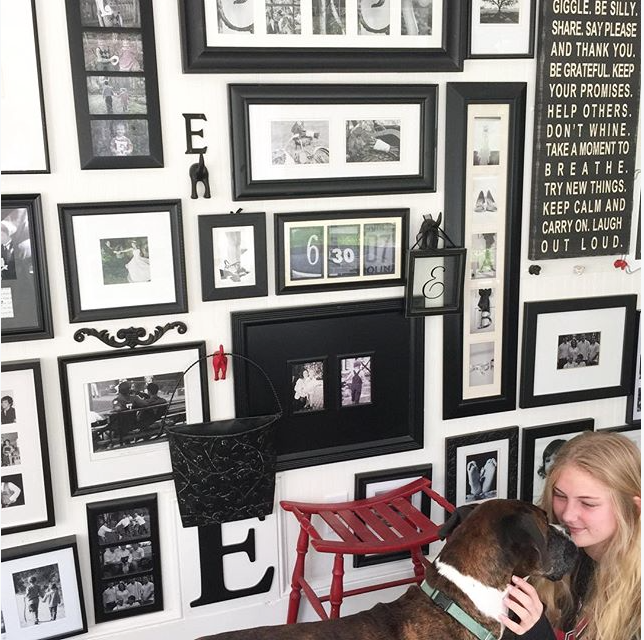 I love how this gallery honors my neighbors beautiful kids, grand kids and even beloved family pets! And finally here is the Design Board for my latest client project! 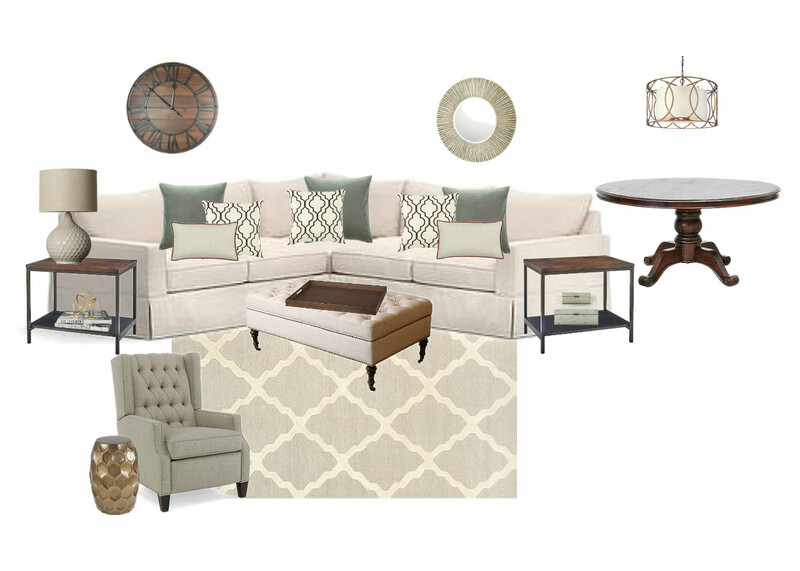 We're doing a Flat Rate -Interior Room Design and my awesome clients gave me the green light to go modern. 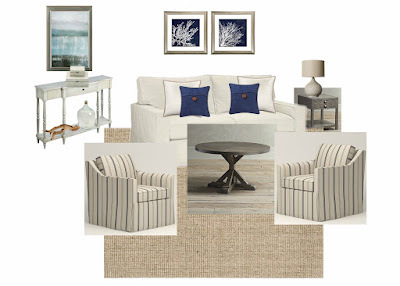 Love so many things in this design including all the clean lines, warm woods and blue & greige color scheme. Ahhh and that artwork...so calm & serene, can't wait to get started. A Cottage - Coastal Family Room - client project progression! Hey guys, I thought it would be fun to share a client project progression today! Many people who are considering hiring a Decorator always ask me "how does your process work"? I was happy that my client really liked this first Design Board above. But she had a few ideas of her own that she wanted to incorporate. She wanted to use her favorite accent colors in navy blue and turquoise. So I made some changes on the board and after a few more edits we had our Design finalized. I think it's so much fun! And here we are on delivery day! Now this space obviously isn't finished. Art still needs to be hung, lamps and accessories will soon be delivered. But what a great start! 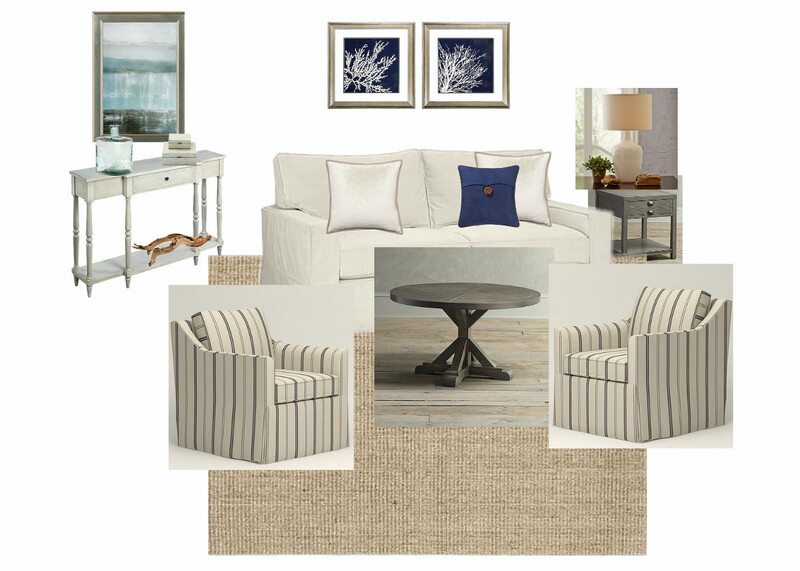 And my clients enjoy getting to visualize their space before the design process even begins. So this is how we work here at The Collected Interior. I can take the design lead in a project if the client would like or we can work together. Either way Communication is key to achieving a well designed space that offers both style and function. 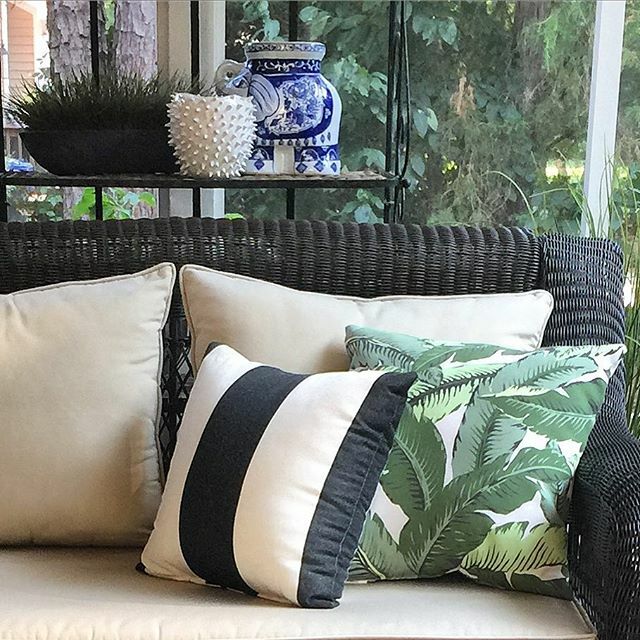 Finally, our home furnishings & accessories are sourced from my incredibly affordable Trade Program which includes Joss & Main, Allmodern.com and Birch Lane to name a few. We also source locally as well. Have further questions? Contact me at 980-322-5920. Together we can make the most of your home! 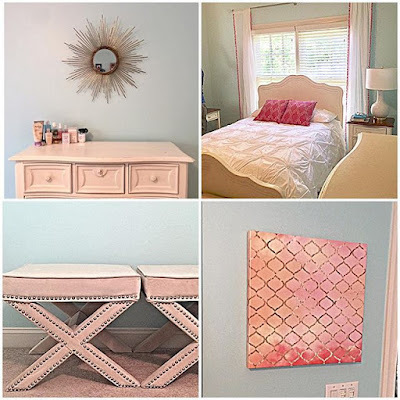 A Stylish Girls Bedroom, Custom Upholstery & More! Happy August everyone, I hope your having a wonderful Summer! Just finished a Room Refresh and I am loving this stylish girls bedroom! 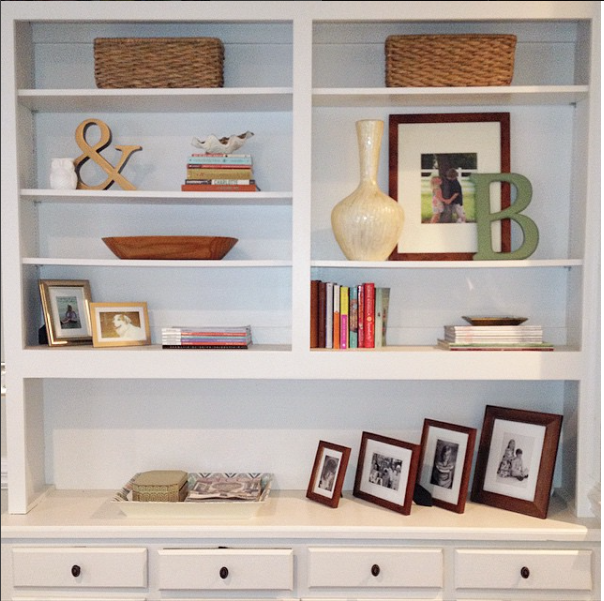 For this project my client kept all the main furniture pieces. I added new bedding, window panels, lamps and mirrors. We painted the walls a fresh turquoise blue per my clients request and added cool x benches for versatile seating. 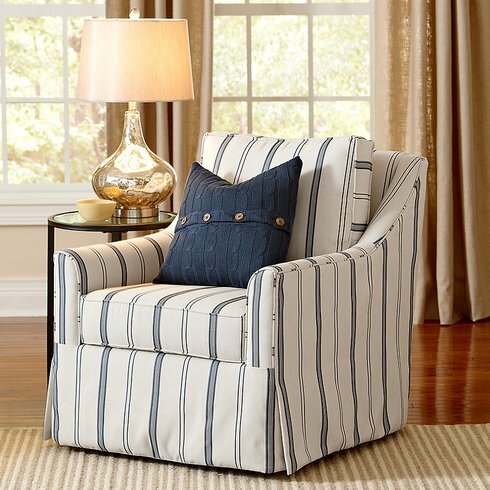 Check out these custom armchair fabric choices! 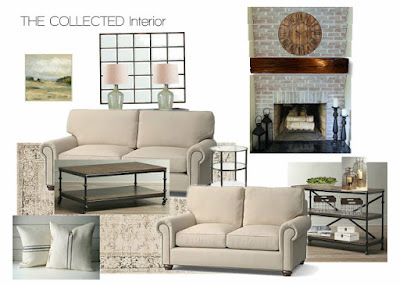 Here we've got great neutrals with loads of texture. One of the vendors I use for custom upholstered furniture is AllModern.com. 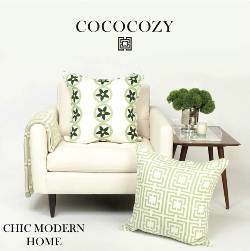 They have a nice line of sofas, sectionals, love seats, armchairs and swivel chairs at simply amazing price points too. And they offer hundreds of fabric choices as well! Does your dining room still have gold, red or maroon walls? Ours once did, until I painted over them with Sherwin Williams - Magnetic Gray, and I've never regretted it once. 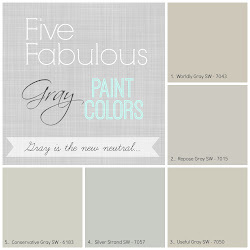 Today's lighter paint colors with gray undertones will go a long way in making your home feel more modern and updated. And because these hues have cool undertones, your home will feel lighter and even brighter! 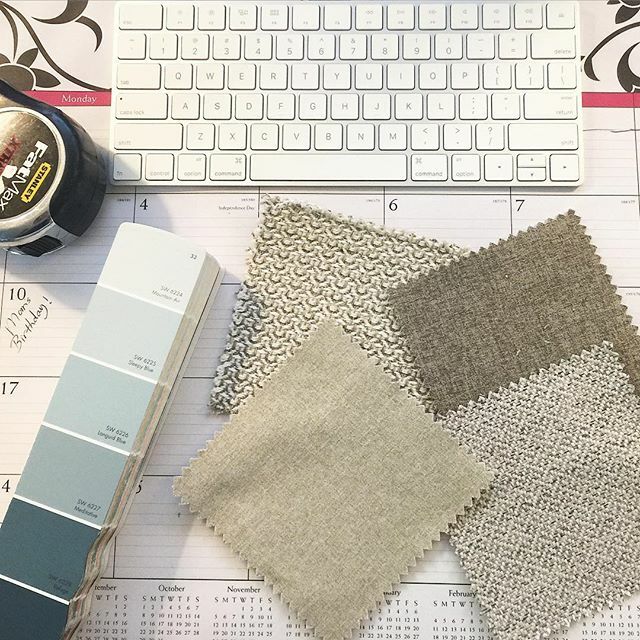 Need help deciding a paint color palette for your entire house? Call for a Color Consultation today! 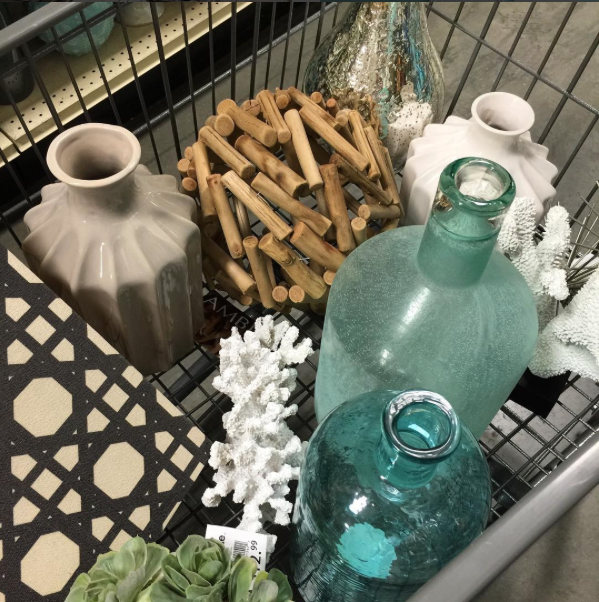 Okay random fact...sourcing home accessories for my clients is simply one of my favorite things! And nothing gets me more inspired than nature. 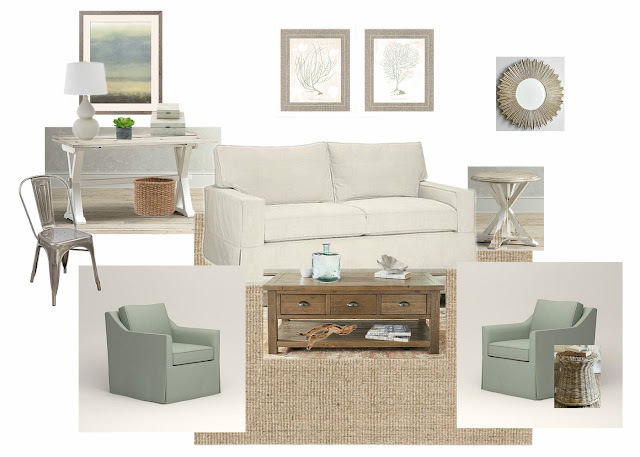 Here we have shells, hunks of coral, sea glass vases and driftwood accessories that I used for a client's home office. Amazing how color and texture can liven up any space! 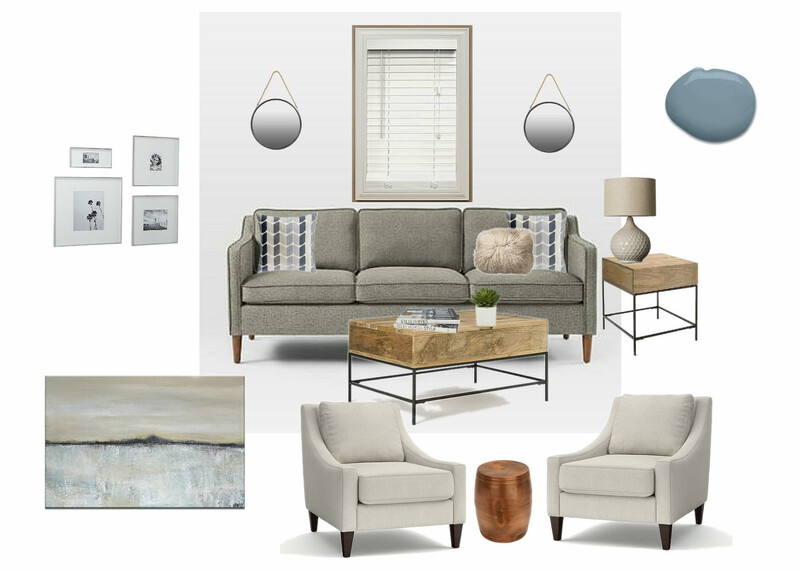 And finally here is the Design Board for my latest client project! We have soft creams, blues and grays paired with light - beachy wood tones in this family friendly space. We'll use a farmhouse white on the walls. Texture will infuse the space with a sisal rug and other coastal accessories. Ahhh, I can't wait to get started. Love helping my clients get a high end look, for less!